Citrus season is in full swing here, and I'm making the most of it. My lemon tree is churning out a generous bounty, and I'm loading my market bag with blood oranges, grapefruit, and some of the most spectacular navel oranges I've ever enjoyed. Today I have a handful of recipes to help you make full use of winter citrus while it's at its peak. These are all simple and economical recipes to help preserve the best of the season: syrups and frozen concentrates, finishing salts, and preserved lemons. It's worth seeking out organic fruit for these recipes, particularly those that make use of the peel. This is a good time to score a bargain on organic citrus. These are easy to make with kids, too (be sure to supervise them if they use a grater). If you're crazy for still more citrus, start a batch of limoncello that will be ready in time for summer, make lemon curd (or mango-lime curd, swoon! ), or treat your favorite people to candied citrus peels. Store the syrup in the refrigerator for up to a week, or freeze as homemade juice concentrate. I love the taste of raw or organic sugar, but it adds a golden-brown tint. It's barely noticeable in lemonade, but it blunts the the vivid color of blood orange juice. This recipe yields four 8-oz. drinks; scale up or down to meet your needs. Combine sugar and water in a saucepan and bring to a boil, stirring to dissolve sugar. Let cool, the combine with lemon juice. To prepare a drink, combine equal parts lemonade syrup with water — you may need to adjust proportions to suit your taste. 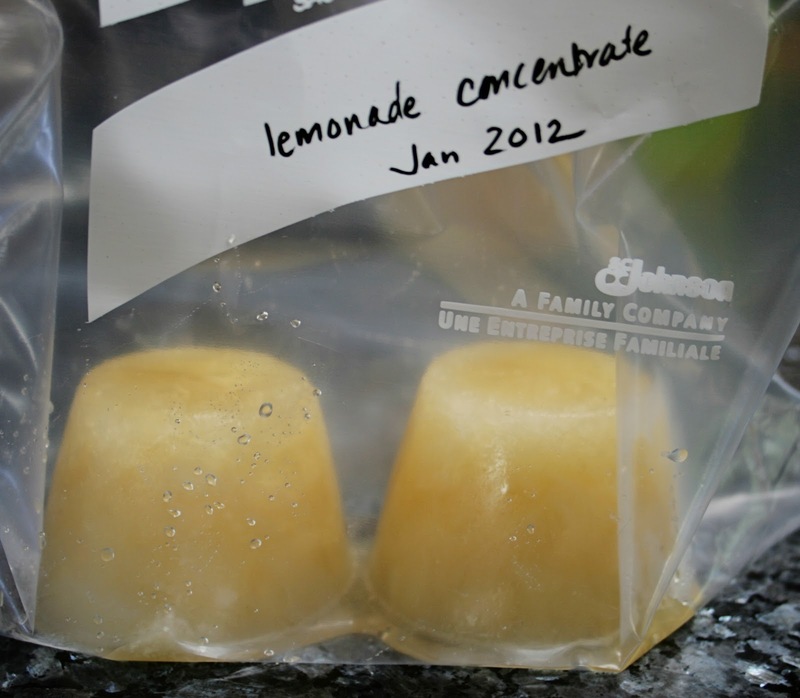 For concentrate, freeze portions in plastic containers, then store the frozen blocks in an airtight freezer bag or container. Blood Orange Syrup: Substitute blood orange juice for lemon juice. This syrup is also especially good poured over shave ice or added to a glass of sparkling water. I intended to make this ages ago, after seeing it over at Steamy Kitchen, but only just got around to it after it was featured at 101 Cookbooks. 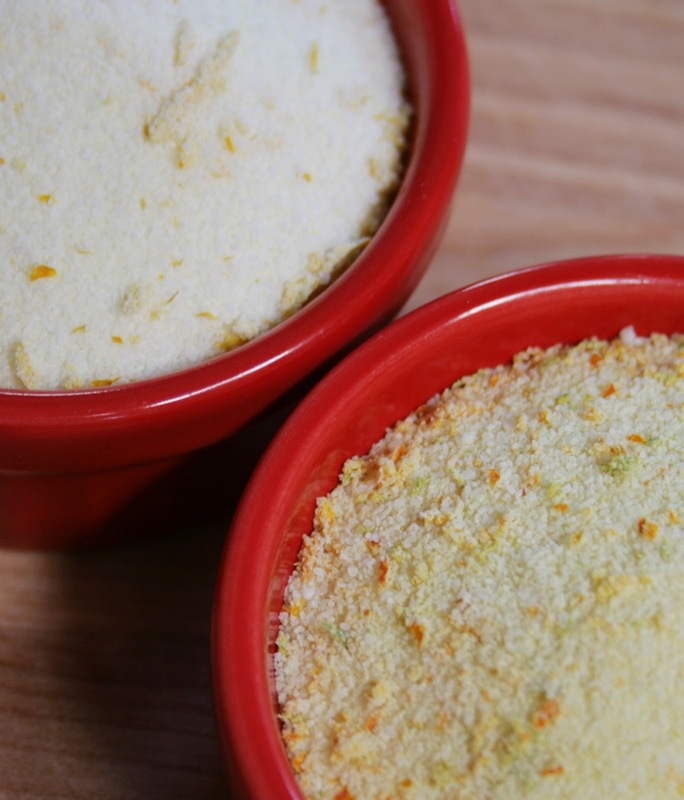 Try citrus salt as a finishing touch with chicken, seafood, and vegetable dishes. Be sure to juice the fruit after removing the zest and use it to make the syrup recipes that follow. Scrub fruit well and dry thoroughly. Zest fruit, being careful not to remove the bitter white pith. Combine about 1 tablespoon of zest with 1/2 cup sea salt, mixing thoroughly with a fork. Lay salt blend on a baking sheet lined with parchment paper. Let it sit out a while to dry, or put it in a 200 degree oven for 75 minutes to two hours, until zest is dry and crumbles easily between your fingers. You could do this in a dehydrator, too. Store in an airtight container and it should keep for a few months. Try dicing preserved lemons and whisking them with a bit of olive oil, salt, and pepper for a fantastic dressing, as in my Persimmon and Fennel Salad. They're delicious with rice and other grains, in marinades, and atop simply cooked chicken and fish. Be sure to have enough lemons to fill your jar, plus a few more for juice. First, sterilize your jar and lid by boiling them in water for 10 minutes. Scrub lemons well and trim away any stems. Slice the lemons almost completely in half, but not all the way through. Make another cut, perpendicular to the first, so you've cut the lemons nearly into quarters. Sprinkle some salt in the bottom of the jar. Pack the cuts in the lemons with salt and put them in the jar. Pack firmly, squishing out some of the juice. Add any spices, if you wish, top off with another sprinkle of salt, and add enough lemon juice to completely submerge the lemons. Your lemons will be ready in 3 to 4 weeks. They're very salty: You may want to rinse them before using, and taste before adding more salt to a dish. I've been assured the jar never needs refrigeration, but I stick it in the fridge after opening it and try to use them up within 6 to 8 months.